Invited competition entry for a project to review, re-organise and extend the upper school teaching facilities at St Hugh’s School. 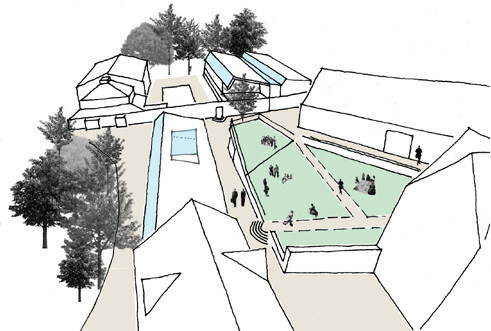 To minimise the impact of the new development on the immediate setting of the grade II listed Manor House that forms the central focus to the school, the new accommodation is proposed to be concealed within an existing walled garden. 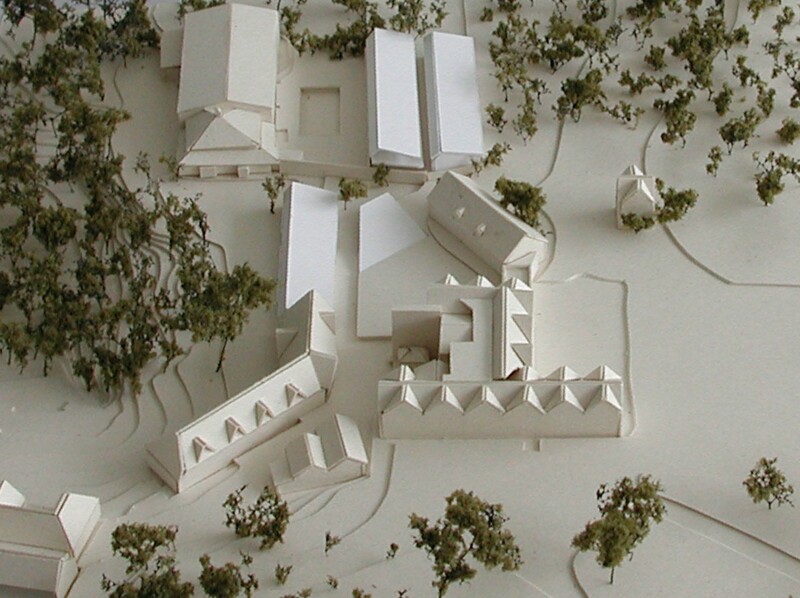 The form of the new building is kept low to minimise impact on the listed setting and to preserve views out to the valley beyond. Shared and social components of the brief are gathered together around the central court which, in conjunction with rationalisation and extension of cloistered circulation spaces, brings activity & focus to this central space. A strategy for low energy sustainable design proposes BREEAM excellence, maximising natural daylight and ventilation.